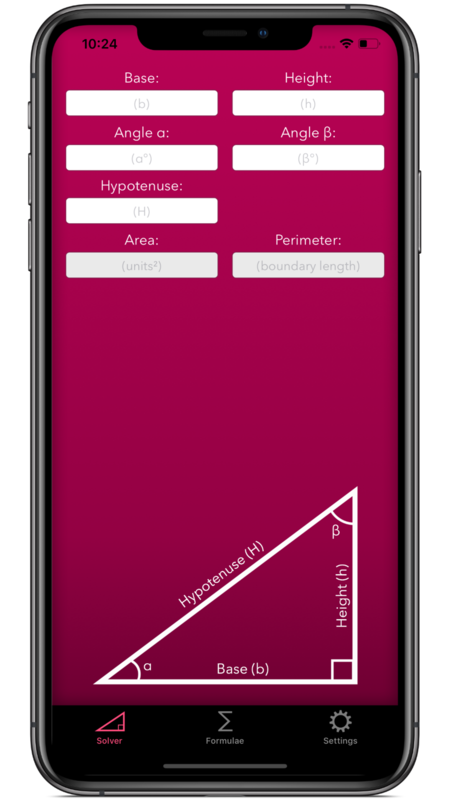 Trigonometry Help 4.0 for iOS is out now! This is a big update and includes a much-requested feature: workings. Learn by example, after entering in a valid equation simply tap the top-right hand corner info button shows workings for the previously unknown values for that problem.